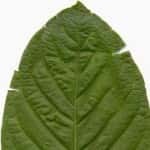 If you see products labelled as Krypton Kratom, stay away from them. There appears to be a huge safety problem with this product. 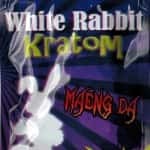 You might think that you are getting some of the new Kratom that is showing up in local head shops but, this is not the case. A lot of users have come forward to say that this product is not what you really think it is. As a matter of fact, it is not a safe product at all. Continue reading and you will see why Krypton Kratom pills are very dangerous to your health. 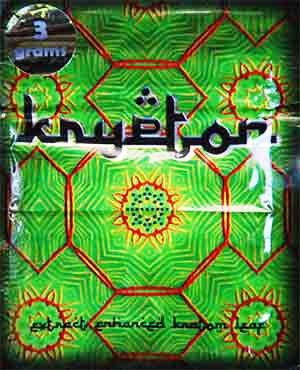 Are There Harmful Ingredients in Krypton Kratom Pills? 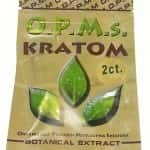 Unfortunately, Krypton Kratom may not be the garden variety of Kratom powder or extract that you are familiar with . It has been deemed too harmful to use. It contains a mixture of O-desmethyltramadol, which is an artificial opioid, and caffeine. Most people are shocked to learn this. Bona fide Kratom contains the leaves of the Mitragyna Speciosa tree that originates in Southeastern Asia. You have to dry, crush and ground the leaves of this tree into a powder. It is then taken by mouth each day. 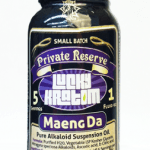 This particular form of Kratom has been consumed for many years and is deemed safe. 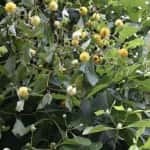 People have taken this drug for thousands of years to treat medical conditions such as high blood pressure and high stress levels. It appears that dishonest advertisers tried to deceive the public by claiming that Kratom was in a product that was labelled as Kratom, but the product did not have any Kratom at all. The particular mixture of opiates is very potent, and it is believed to be very harmful. Just by taking .5 grams of Krypton is about the same as taking 60 grams of morphine. Understand that this is a very toxic amount and it could make you very unhealthy if taken. O-desmethyltramodol is a tramadol analogue that can mix with mu-opioid receptors that are two hundred times stronger than tramadol. It should not surprise anyone that this is very harmful, and that you can become addicted to it. Kratom is often used as a supplement to help people who are addicted to opiates. It helps them to drop the habit. It reduces the effects of withdrawal symptoms and calms down messed up cell receptors. Unfortunately, if you choose to take Krypton Kratom as a way to quit your substance abuse, it will only make things worse and make your addiction even stronger. It is because of this that we think that marketing fake Kratom is very negligent. Now what? What is going to happen when there is a flood of these fake drugs available for use? Basically, many are going to question the legal status of Kratom. Lawmakers will try to clump all types of Kratom into one category and say that they are all dangerous and should be banned. Obviously, most people know that Mitragyna Speciosa isn’t harmful or chemically laced. Also, it does not lead to addiction. This is why you should never resort to taking Krypton pills. If you want a more potent form of Kratom, then use the natural versions such as powders and tinctures. You will see that these strong versions can provide the effects that you want, but they will not contain the dangerous ingredients that you will find in opiates and other products that are laced with chemicals. The 15x Extract has a very good reputation, and it does not contain anything artificial. In order to get a real extract the leaves of a Kratom tree must be boiled down to a resin. This hard substance is then grounded into powder. This is what is considered to be an extract. Extracts have a rating based upon how strong they are and the amount of leaves that were used to make them. For instance, the product 15x Extract needed 15 times the number of Kratom leaves to make one gram of the extract. This also means that this extract is very strong. This should be more than enough to get the results that you need. Why would you experiment and take artificial products when you can get the same effects with natural ones? Let’s reiterate. Understand that product that is labelled as Krypton Kratom is not the real thing. It is a fake product. Stay away from it! You don’t really know if vendors know this or whether or not they are just trying to ride out the Kratom craze. We can’t say whether or not these are legal products, but they should not say that they have real Kratom when they do not. If you want products that have Kratom, do not get Krypton Kratom pills. This is really the case if you are already addicted to any type of opiate. Using real Kratom is okay, but don’t get tricked into using artificial products that will make you unhealthy.